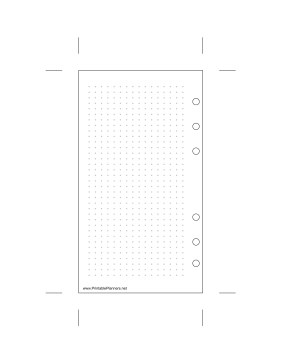 This daily planner page of dot grid paper goes on the left-hand side of your personal sized datebook. It is oriented vertically. The right-hand of this page is also available.